Ingredient Spotlight: Humectants Help to Moisturize Your Hair - Hairlicious Inc.
great info! i need to look into my products! Thanx Sunshyne..those are great to know! What's really confusing to me is when a product has protein in it...I hope you will post that info also. Congrats on your 100th post!! Congrats on your 100th post! Can you name some prodcuts that have these ingredients in them ? Thanks very much for this info. Now I can do my best to balance my moisture with my protein. Keep up the good work. You have no idea how you have helped me. Congrats! And I look forward to your 200th post! yay! go you. and thank you for all the advice. the leave-ins you recommended are working lie a charm. go wave nouveau! Congrats on hitting 100! Great info. I'm a info-junkie. Now, if I could only remember all this stuff when I'm going up and down the isle at the BSS??!! My fave humectant is pure glycerin...it makes my 4a/b hair almost too soft. You ladies are awesome!! Sylv, I'll do a post on protein, no problem ;-) and Shan I'll do a list of products that contain humectants in them. I love reading all your stuff; I can never get enough! 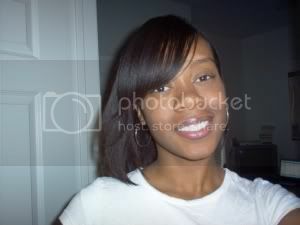 This was one of the first places I came across at the beginning of my hair journey (Nov. 2009). Wouldn't it be true than that a person would only reap the benefits of humectants if they are living in an area with moderate to high humidity? Would you mind clarifying this if you get a chance? PS If I posed this question before, I apologize for the repeat. I frequent so so many sites, forums and blogs these days!